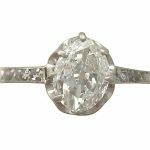 This style of setting incorporates a thin strip of metal which encircles the edge or girdle of the stone. 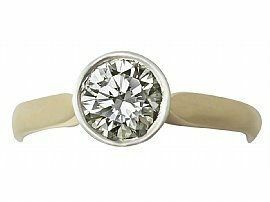 There are many pros and cons to purchasing a bezel set engagement ring, but mostly pros! Repair – A bezel set stone can be difficult to repair or re-set. In the event you actually manage to damage your stone in this setting, you would need a very skilled jeweller who could take on the task! 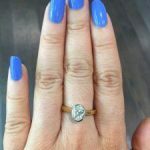 Light – When a diamond is bezel set, it can be difficult to allow the light to flow through the diamond, especially if the ring has a closed back. Reflection – Badly set rings can compromise the diamond, an example of this would be if you set a stunning colourless D graded diamond into a yellow gold bezel setting, the diamond would reflect the yellow colour of the gold, making the diamond appear to have a yellow tint. 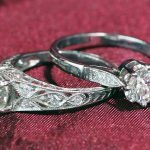 Cost –They can often be more expensive due to the fact the bezel setting contains more metal than a typical claw set ring. Reflection – In the cons, we discussed badly set diamonds, this of course can be used in a more ingenious way. As you know, diamonds will reflect any colours surrounding them. If you have a pale pink coloured diamond, using a rose gold bezel setting will enhance this colour. Again with a fancy yellow diamonds, if the tone is on the light side, using yellow gold to surround the stone will help enhance the colour. 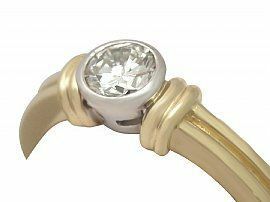 Protection – A bezel set diamond is protected more from knocks and held very snug in the setting. Many of us believe diamonds are indestructible, but this simply is not the case. A good hard knock to the girdle can chip or even cleave (split) a diamond. 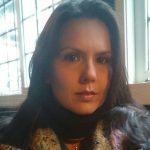 Daily Wear – Damage caused by every day wear is also reduced, come on girls let’s be honest how many times have you put a nice fluffy jumper on only to catch a claw. You don’t get that with a bezel set, another good reason to call them “rub –over” settings, because you can rub your finger over the top smoothly. 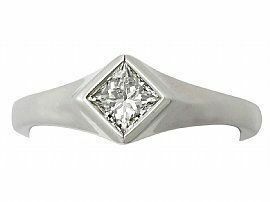 As most people wear their engagement daily this would make the bezel setting the ideal engagement ring choice. 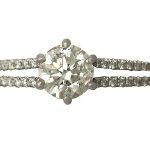 Below are examples of stunning bezel set engagement rings available at AC Silver! A fine and impressive 1.28 carat modern brilliant round cut diamond and 18 carat yellow gold, 18 carat white gold bezel set solitaire ring. 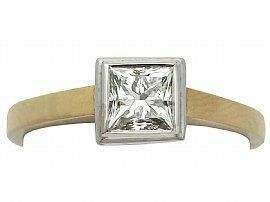 A fine and impressive contemporary princess cut 1.10 carat diamond, 18 carat yellow gold, 18 carat white gold bezel set solitaire ring. 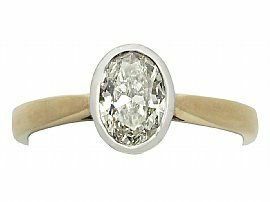 A fine contemporary 1.00 carat diamond, 18 carat yellow gold, 18 carat white gold set oval cut solitaire ring. 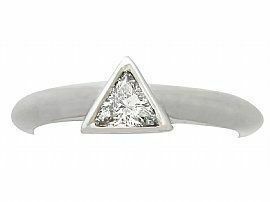 A contemporary 0.55 carat princess cut diamond, 18 carat white gold bezel set solitaire engagement ring. A fine and impressive 0.31 carat trillion cut diamond and platinum bezel set solitaire engagement ring. 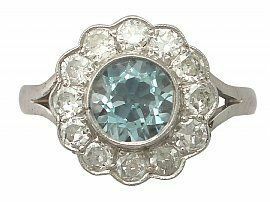 A fine and impressive 1.34 carat aquamarine and 0.96 carat diamond, 14 carat white gold cluster style cocktail ring. 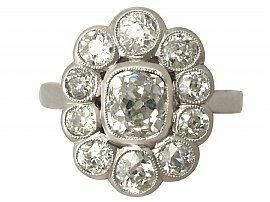 A stunning, fine and impressive antique and vintage 3.07 carat diamond and platinum dress / cocktail ring.